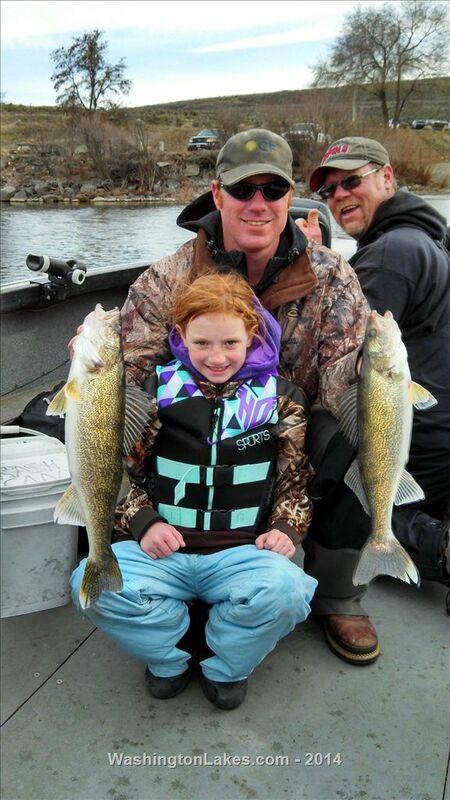 Ross Outdoor Adventures - Guided walleye and bass fishing trips throughout Eastern Washington. Airboat tours on Potholes Reservoir. We specialize in Potholes and Moses lake walleye and bass fishing. Also available - Cast and Blast trips. Call or visit us at our FaceBook page today! 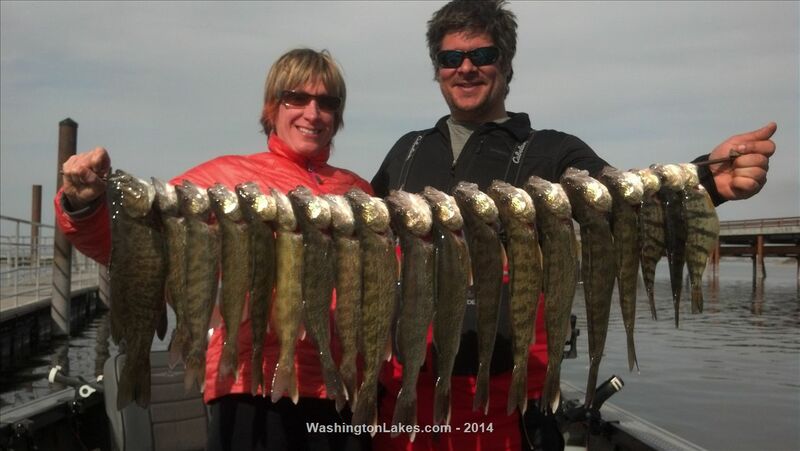 Fished Saturday and caught 12 walleye between 16-21 inches, a bunch of undersize walleye, and a mess of perch. Back out Sunday for an hour and caught 7 (all released). Monday started with a double in the first 2 minutes of fishing and we ended up with 15 eater walleye between 16" and 20", a few monster perch, and 3 small mouth from 1.5 to 2.5 lbs. Blade baiting any sharp hump with bait fish on it will produce fish. We trolled a bit each day searching for more humps with fish on them and spinner rigs with silver macks smile blades are starting to produce a few fish including our big fish Saturday. The stick bait bite has slowed, it seems the worm rigs are more productive right now. Featuring Walleye and Bass trips on the Potholes and Moses Lake. We also offer Cast and Blast trips! View other reports from Ross Outdoor Adventures. Nice, hopefully were able to have some success this weekend. My dads heading over to the east side so we can fish up there this weekend. It's the first time we fished this early in the year so well see how it goes. Hopefully the weather man is wrong, good luck and see you on the water. Yeah hopefully the wind's not blowing too badly, I don't mind the rain but I'd rather not have to fish with 30 of my closest buddies over in Lind Coulee because of white caps on the main lake.